ggh Yarns Archives - Infinite Yarns, Inc. Archive | Infinite Yarns, Inc. The passion of handcrafting – it all begins for the ggh team while selecting the new yarn qualities and shades. This passion reflects in the various yarn collections. 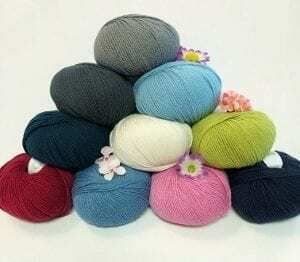 ggh has around 50 different qualities in stock and offers classic yarn like alpaca, merino and new wool, cashmere, camel, angora, silk, linen, cotton, pima, Egyptian Mako cotton but also fashionable yarns and fancy yarns with synthetic fibers.